Is this woman having a close encounter with aliens? Maybe she's just spotted one of the Martian ships from the 1950's “War of the Worlds” sci-fi movie hovering overhead. Sadly, no- she's just switching off the ultra-modern “Hi-Lo Flex Lamp” above her bed at some ultra-modern hotel. 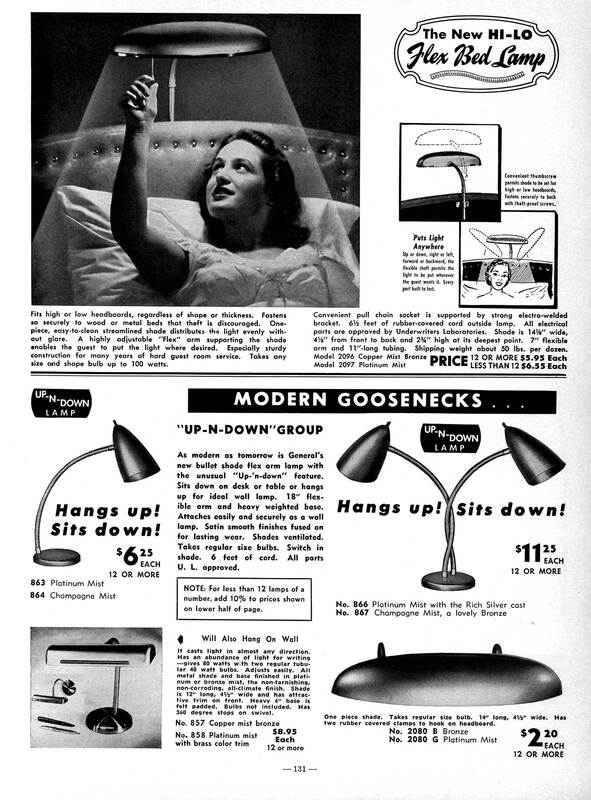 The delightfully retouched photograph is way out, in any case, as are the accompanying atomic-age illustrations. I'm concerned that some kind of brain-ray radiation probe is wiping her memory of the first contact. 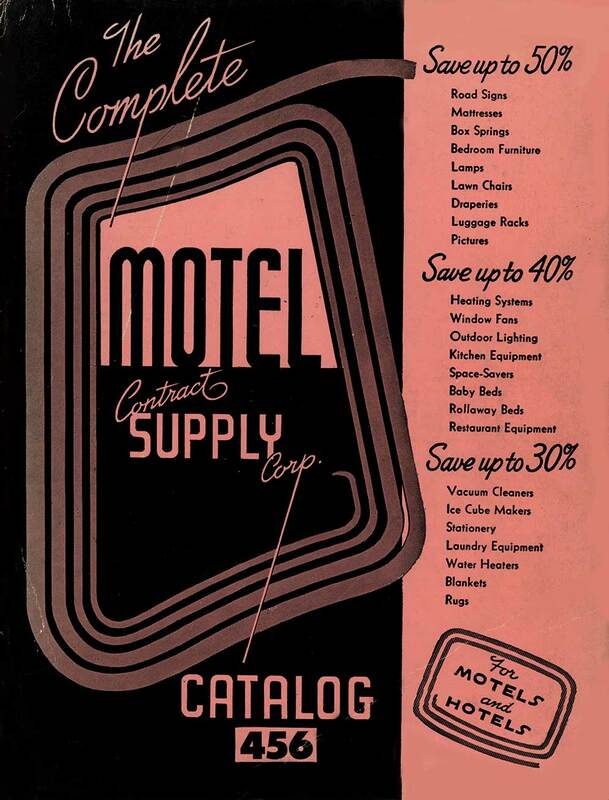 This seriously thick catalog has HUNDREDS of pages of hotel/motel-related items: from signs to swimming pools, from gift shop items to industrial kitchens, and furniture ranging from faux Early American to the latest mid-century modern Eames knockoffs. 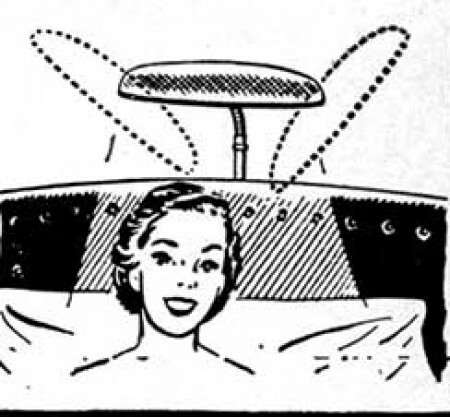 And lamps that double as UFOs. It was the '50s, after all.